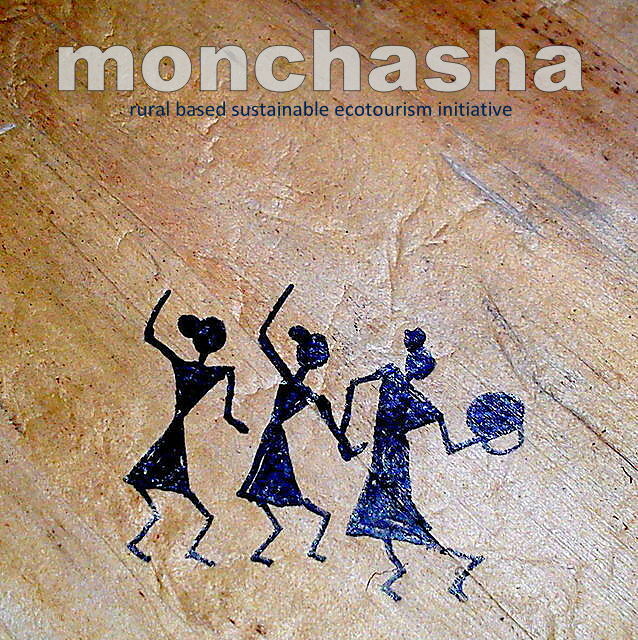 If you are a person who can communicate with mother nature in her language, Monchasha is the perfect place for you…refreshing, serene, peaceful. the place where you can re-discover your own swwet self in the cradle of mother nature. 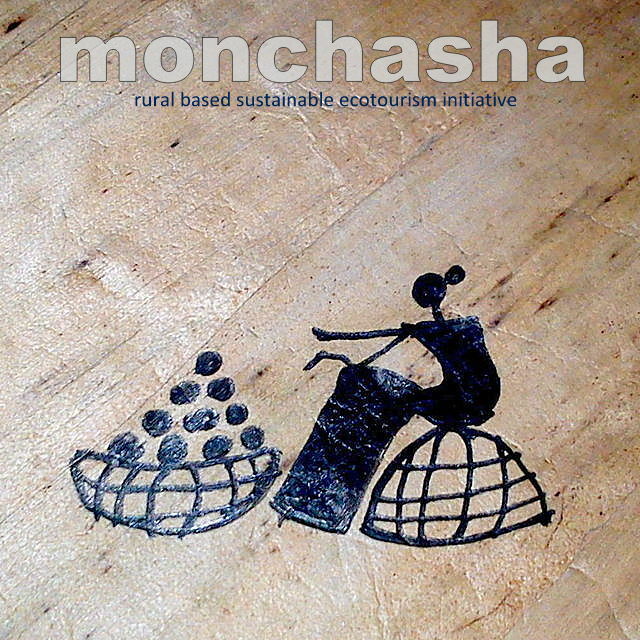 It has captured the real essence of Eco-tourism, peserving the real meaning of ” ecology” & “ethology” in all respect. If you are a keen bird-watcher or entomologist, this place is a must visit since you can find a lot of birds & insects that too in their natural habitat. This is definately a place for people who prefers cool composed environmentthat can nurture hidden or long forgotten talents like- art music or writing….. Both Nilanjan & Debjani Basu are always at the edge of their seat to make you feel at home ……. for foodies ” Good News”- excellent bengali cuisine and sumptuous portions- definately the taste ” maa-er hath-er ranna” . Air feels light loaded with oxygen. And when you come back you are full with lovely and lively moments which are worth treasuring…. 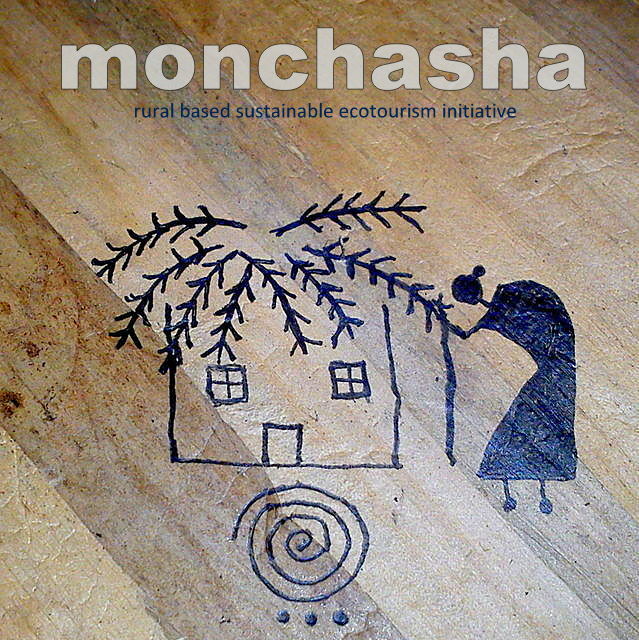 Would always love to visit Monchasha again and again!!!! I visited Monchasha during Nov 2013, with my family. Heard a lot about this place, so expectation was high. After 02 nights & 3 days of stay, I was overwhelmed by the experience. I travel a lot throughout India & have stayed at trekkers hut to star hotels. Believe me, the personal touch they add to their hospitality is the best I have ever experienced. Food is excellent, authentic bengali cuisine. Meticulous about combination & varieties of foods. Interacting with their staffs, Kanai Pal – the rickshaw puller, Kanai Bhaumik & Tushar Maiti the artisans will make you feel like you know them for years. Had several adda sessions, with Nilanjan & Debjani Basu, the proprietor of this property. These people are really “jolly good fellow”. Thanks for creating & maintaining MONCHASHA in West Bengal. Thanks for everything !!! In bengali chash means cultivation. good cultivation gives us good crop. I usually tell people that, Mon-Chasha is also a place for cultivation. Here the crop is your mind, your sole. Going there, I bet, one will get the opportunity to cultivate his sole/mind for a new/fresh journey. This is not another eco-tourism project to me. I find so called eco-tourism a fashion to urban people who mostly dont feel the nature. Its a good topic nowadays to discuss in a living room or any urban gathering. One should not grade Mon-Chasha with those so-called fashion topic. Because, it means really drive to the nature and feel the sole with lots of good food, ethnic bengali culture etc. somebody may feel that the tariff is high. But I differ. because you would get a good double bed room in hotel not less than rs 2000 minimum. here @ mon-chasha, accommodation is rs 3000 for 4 persons and the rooms is enough specious. now come to food tariff. that is also less than any other hotel package for a day. here you may get some good local sweets from a nearby shop. still, somebody may think, it is not worthy. But I bet, you cant get a nice place to feel your root. 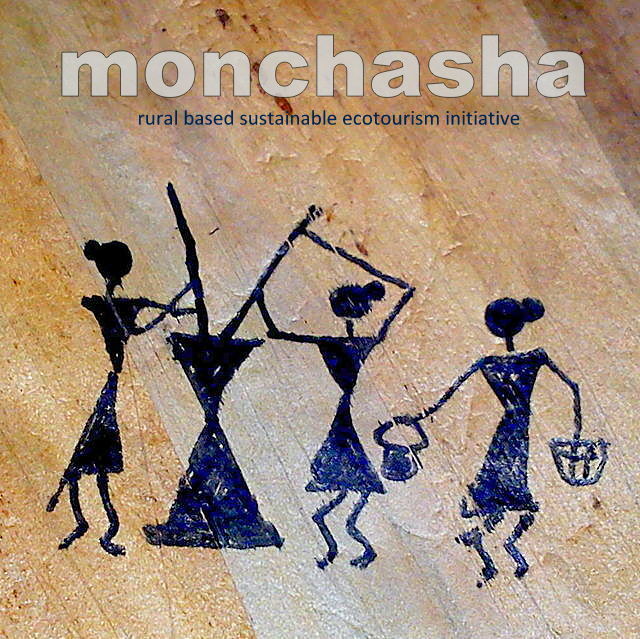 I visited Monchasa with my family during the month of October. I had received very good reviews about this place and was looking forward to it and I must say it definitely met my expectations and in some cases even exceeded it. I was not aware that one can create such a dream place in such a remote village like Paushi but hats off to Nilanjanda and Debjanidi that they managed to create such a lovely abode amidst nature. I would recommend everyone to visit this place at least once to enjoy and savor the beauties of nature away from the hustle and bustle of city life. There are 4 cottages in total with each one accommodating at most 4 people. The rooms and washrooms are quite clean. The best part about the cottage is the adjacent balcony. I spent most of my time there. It faces a quiet river and there is green all around and fresh air everywhere!! The food served is excellent and they serve authentic Bengal cuisine 4 times a day. In terms of activities, you can take a van-rickshaw ride in the local rural villages and visit the local artisans’ homes. You will get a lovely collection of art work and they sell it at quite cheap prices. You can also enjoy fishing or pottery if you have inclination towards them. You can take a plunge in the adjacent ponds. They have a small library and also a collection of tabla, khol tabla etc which you can try your hands at at your leisure. Very enjoyable place for kids too!!! To summarize, it is nature’s best abode on earth and definitely a place to stay if you want a respite from the busy city life. The natural beauty of this place will surely relax your senses and rejuvenate you!! A must visit! !